July 11th 1945 – Last B-24 leaves the U.K.
As the war drew to a close, encircled German troops, took to flooding the fields of western Holland, forcing the local Dutch people down to starvation levels. In an attempt to help them, Allied operational bombing missions turned to mercy missions. 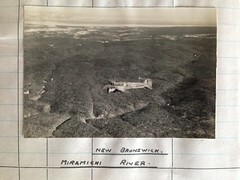 Operations ‘Manna‘ and ‘Chow Hound’ involved Allied bombers flying low-level to drop supplies of food and other provisions to these people. They would fly aircraft along mutually agreed routes to dropping points at the Hague and other sites around Rotterdam. The first of these RAF operations occurred at the end of April into the early days of May, followed by the USAAF between the 1st and 8th of May 1945. 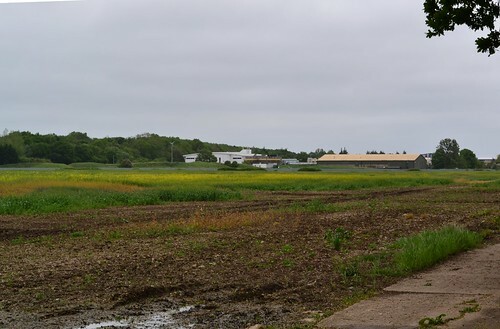 On this first operation, 396 B-17s flew from their bases in East Anglia to unload some 700 tons of provisions over the affected area. Over the next few days similar flights would also take place, which would in total provide some 11,000 tons of food to the starving population. 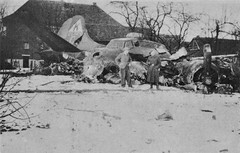 During one of these missions on May 7th, B-17G #44- 8640 of the 95th BG, 334th BS, was believed to have been hit by ground fire over Ijmuiden, The aircraft, engine ablaze, ditched in the North Sea. Rescue efforts were mounted to recover the crewmen and observers, but only two survived – eleven were lost. It is believed to be last combat casualty of 8th Air Force in World War 2. 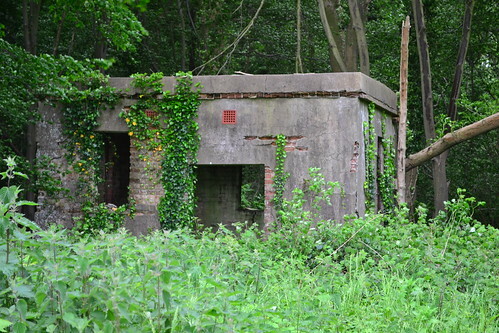 Also during this time, ‘Trolley runs‘ began in which around 10,000 ground crew and other personnel, were given the opportunity to see first hand, the destruction caused by the relentless allied bombing campaign of the previous years. 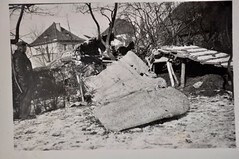 Many were shocked to see the extent of the damage having lived in the relative safety of their airfields back home. Whilst some crews enjoyed the ‘sight seeing tours’ others were involved in ‘Revival‘ flights, bringing home the many thousands of Allied prisoners of war and displaced persons interned in camps as far away as Austria. Gradually even these missions began to slow. Squadrons and airfields were wound down, and eyes began to turn to the Pacific. An American force consisting of three P-51 and nine B-17 groups would remain in Europe, the rest of the Eighth Air force would return home for rest or training and eventual posting to the Pacific. In the third week of May 1945, the huge operation began, the first B-24 left the U.K. for American shores, a flight that would begin seven weeks of flights across the Atlantic routes. In total some 41,500 men and 2,118 aircraft would depart the U.K. for home, most through either Prestwick in Scotland, or Valley in Wales. 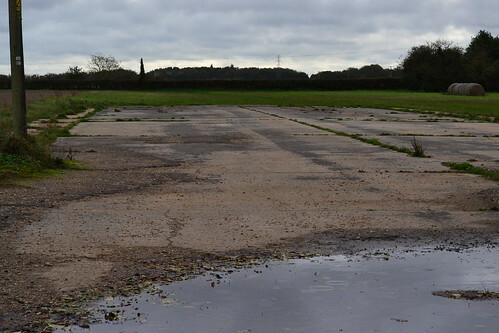 Valley airfield became known as “Happy Valley”, and would see about 90% of the returning aircraft leave from here. Each of the aircraft leaving would carry its crew and 10 passengers, along with sacks of mail for home. On July 11th 1945, 1st Lt. Gean (or Gene) Williams climbed aboard his B-24, started its engines and pulled off the runway at Valley; the last B-24 the leave the U.K, and with it began the slow demise of Britain’s wartime airfields. 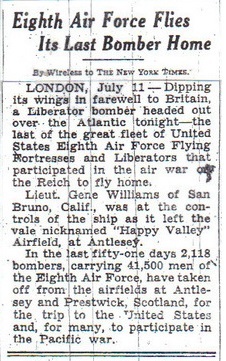 The ‘New York Times’ Published a report on the last Liberator to leave the U.K. on July 12th 1945. As we leave both Swanton Morley and Hingham behind, we head directly east crossing the main A11 toward Wymondham and Mulbarton. 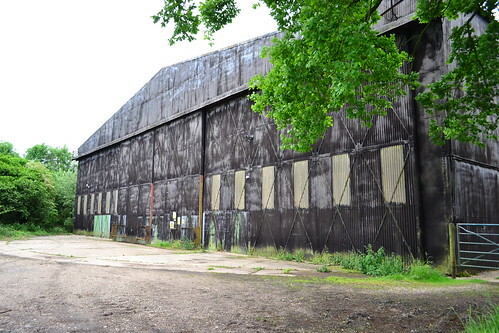 Here we visit another former USAAF base now home to Lotus cars. We stop off at RAF Hethel. A new year brought little change, but with the introduction of H2X-equipped aircraft, bombing became more accurate, and new targets were identified; ‘No Ball’ operations began and attacks on German cities increased. 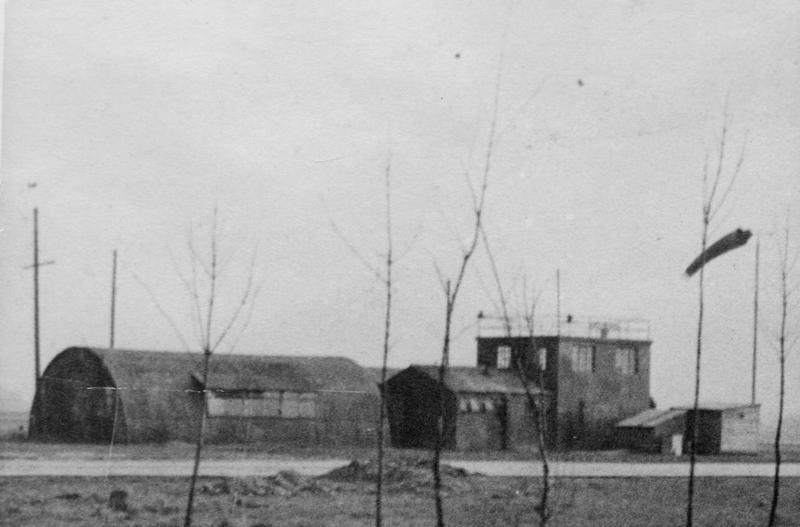 Late February saw the 389th in action during ‘Big Week’, an operation designed to cripple the German aircraft industry by targeting both aircraft and component manufacturing sites. Whilst the majority of Hethel has been removed or utilised by Lotus, it makes for a fascinating trip. The museum, run by volunteers, opens infrequently but I believe offers a fabulous insight into life on the base during the war. One of the more stunning aspects of the exhibition is a number of murals painted in 1944 by “Bud” Doyle. A small memorial is also located at the museum in honour of those who served here. The Hethel Museum was closed on my visit, but a blog site gives some details of the exhibits along with the restricted opening time information. I recommend: Freeman, R.A., “The Mighty Eighth“, published by Arms and Armour, 1986 which has proven to be a valuable source of background information. The skies of East Anglia were once busy and alive with the throbbing of radial and piston engines. The dangers of war were constant, and until aircraft were safely on the ground, danger and risk were always present. 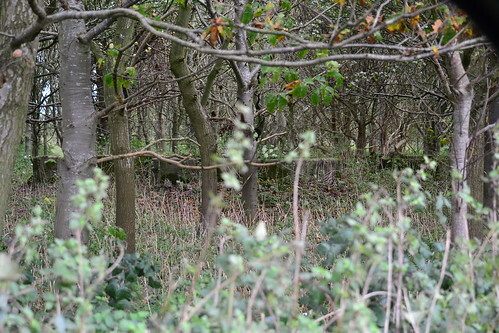 This is no more evident than in the large All Saints Church, Carleton Rode, Norfolk. 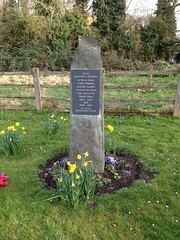 Although not strictly speaking in Carleton Rode, All Saints Church houses a plaque that is dedicated to the crews of four aircraft that collided in two separate collisions over the parish during the Second World War. The Church itself is a historic building dating back to the 13th Century. It was modified in the 19th Century following a collapse of the tall tower. This restoration work gives the visitor the impression that this large church was a built with an unnatural small tower, but this was not so. The memorial board at All Saints Church, Carleton Rode, gives the names of those who died in the two collisions. The top board contain the names of the 389th BG; the bottom, those of the 453rd BG. 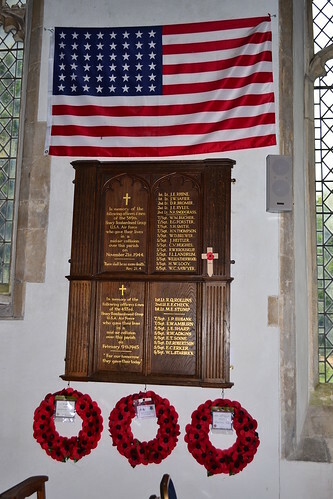 The memorial itself hangs on the north wall inside All Saints, along with wreaths presented by local organisations including representations from the American base at RAF Alconbury. 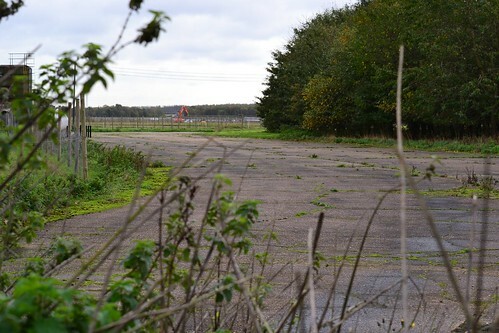 The two collisions occurred on separate occasions and involved aircraft from both nearby RAF Hethel and RAF Old Buckenham. 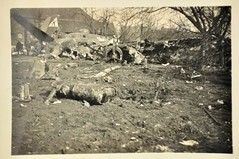 Both incidents involved crews of the 2nd Air Division, Eighth Air Force. The first took place on November 21st 1944, followed a few months later, on February 9th 1945, by the second. The casualties of the first, were from the 566th BS, (389th BG) flying from RAF Hethel, and the second involved crews from the 734th BS, (453rd BG (H)) flying from RAF Old Buckenham. In all 28 airmen lost their lives in these two very tragic accidents. The 566th BS were activated Christmas Eve 1942, and were assigned to the 389th BG, Second Air Division, Eighth Air Force. On arrival in England they were sent to RAF Hethel (Station 114) in Norfolk where they would participate in the air campaign over occupied Europe. 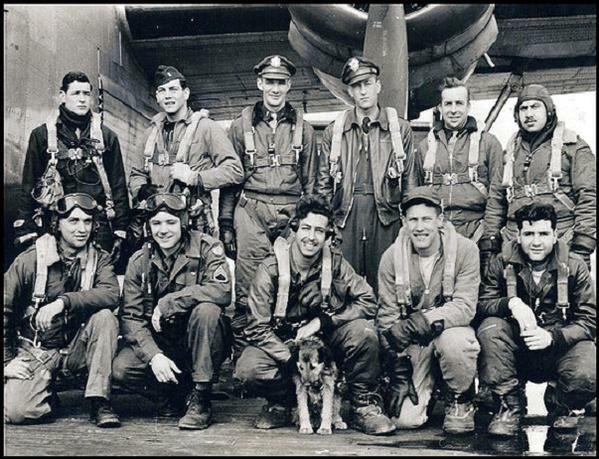 On November 21st 1944, the 389th were preparing for a mission to bomb the oil plants at Hamburg, Germany. Liberator B-24J, s/n 42-50452 ‘Earthquake McGoon’*1, piloted by Lt. Alfred Brooks took off to formate high above the Norfolk countryside. 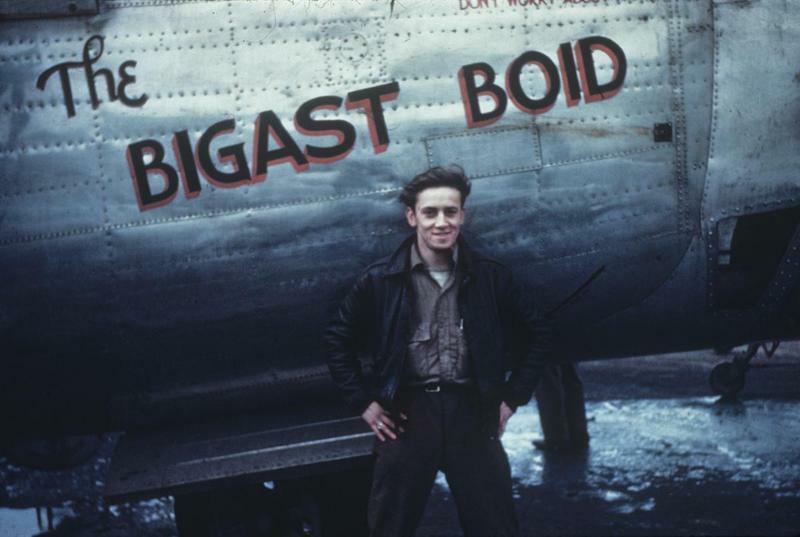 A second Liberator, B-24J, s/n 44-10513, piloted by 1st Lt. J. E. Rhine took off to join the same formation. The entire raid would involve a colossal 366 B-24 ‘Liberators’, along with 177 fighter-escorts involving both P-47 ‘Thunderbolts’ and P-51 ‘Mustangs’ – a formidable number of aircraft to have in the sky at any one time. 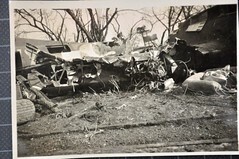 As the aircraft were joining the formation, the two B-24s collided, resulting in both aircraft crashing to the ground. Brooks was the only survivor from his aircraft, whilst there were only two survivors from ‘10513’. 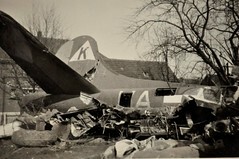 In total seventeen of the aircrew died that day in the resultant crash. *Seven of these men are buried in the Cambridge American Cemetery, five of whom were presented the Purple Heart. 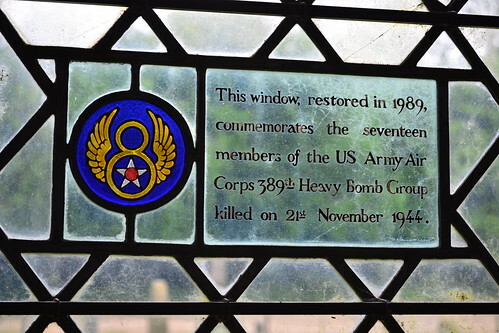 A small window also remembers the 17 men killed in November 1944. 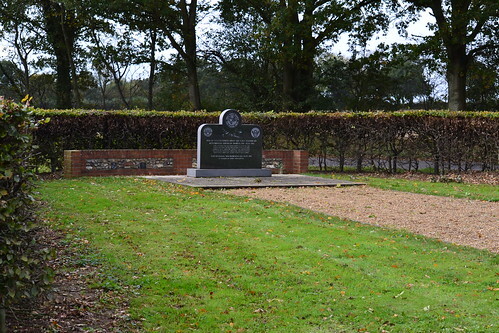 The second incident occurred on February 9th 1945, and involved two aircraft from RAF Old Buckenham. 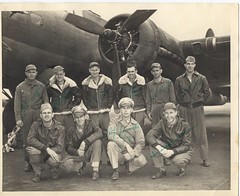 The 734th BS flew as part of the 453 BG, 2nd Air Division, Eighth Air Force. 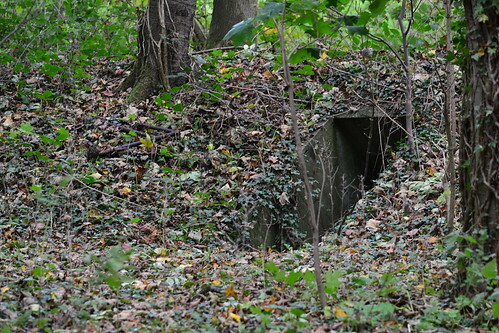 They were activated on 1st June 1943, moving to England during the December of that year. Their trip took them from Wendover Field, Utah, to Idaho, California and onto Old Buckenham. Throughout the war they would operate as a strategic bomber group attacking many high prestige targets across Germany. On February 9th 1945, two B-24s, 42-95102, ‘Spirit Of Notre Dame‘ and 42-50703 ‘Worry Bird‘ took off as part of a 313 strong force of B-24s to attack the Rothensee oil plant at Magdeburg, along with any targets of opportunity. Escorted by 151 P-51 ‘Mustangs’, they successfully bombed the target using H2X and returned home. 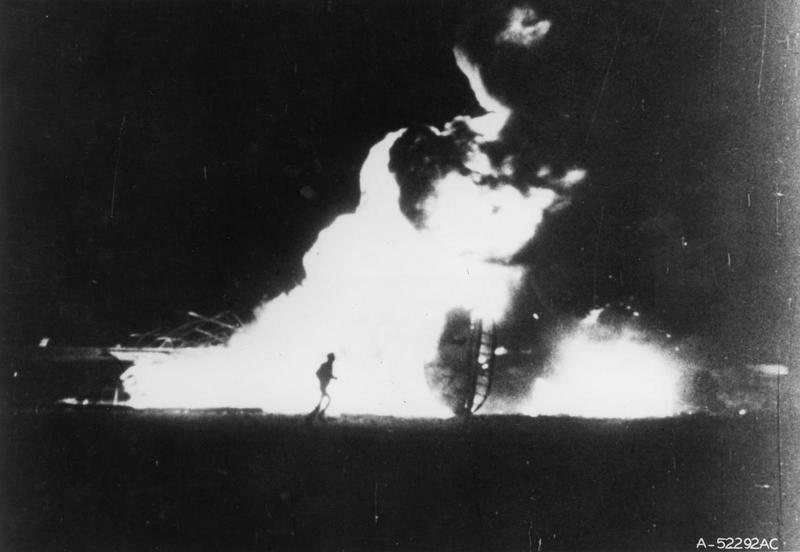 As the bombers were approaching Old Buckenham, the two aircraft collided and ‘Worry Bird‘ crashed in a fire-ball, within a mere hundred yards of the runway. ‘Spirit Of Notre Dame‘ on the other hand recovered from the collision making a safe landing at Old Buckenham. In the resultant crash, all 11 crews members of ‘Worry Bird‘ tragically lost their lives. *Two of these men are buried in the Cambridge American Cemetery, one of whom was presented the Purple Heart. This memorial reminds us of the dangers faced on a daily basis by young crews of the armed Air Forces during the Second World War. On these two days, 28 young men lost their lives in tragic accidents, that left a lasting scar on not only their bases, but their families and the local communities as well. All the crew members who lost their lives are remembered in the Saint Paul’s Cathedral Roll of Honour. *1 in some references the aircraft name is given as ‘Earthquake Magoon‘.